We pride ourselves on our professionalism, reliability and integrity! 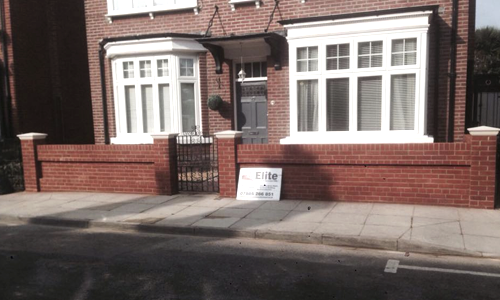 Elite Brickwork Services (UK) Ltd has over 15 years of bricklaying experience in the construction industry. Whether you’re looking to build a small garden wall, extension or right through to a completely new home, Elite Brickwork have the specialist tools, skills and expertise to undertake the job. For an extensive list of the services we offer, head over to our Services Page. The business has successfully completed numerous private jobs for members of the public and has also built units of social housing and completed much larger projects as a subcontractor for reputable construction and development companies. Our key aim to provide a professional, first class service to all our customers. Written recommendations from customers can be issued upon request as a testament to the high quality work that Elite Brickwork Services (UK) Ltd can provide. We are proud members of Checkatrade and MyBuilder.com. No project is too big or too small, please contact Elite Brickwork Services (UK) Ltd for a free no-obligation quotation for any works needed today!